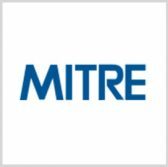 Mitre plans to evaluate commercial endpoint detection response products against its globally accessible cyberattack knowledge base and seeks the participation of interested cybersecurity vendors. The company said Thursday it will evaluate EDRs against its ATT&CK knowledge base in aims to enhance industry and customer cyberattack countermeasures. ATT&CK builds on attack detection analytics from academic and government institutions and public and private companies to provide a definition of cyber adversarial tactics and techniques and cybersecurity products in a common language and framework. Mitre will provide formal product assessment services that include system articulation, feedback and data on ATT&CK and implementation techniques for participating cybersecurity vendors. The company will publicly release the assessment results to support overall market development. The first round of evaluations will emulate ATT&CK data on APT3/Gothic Panda attack techniques and will focus on the product’s technical capacity for detection of adversarial behavior. Follow-on exercises will provide additional APT adversary emulations that will cover breadth of technique and depth of implementation variation. Participation for the first round of assessment will close on April 13.